Pitts Model 12S built for air show pilot Jacob Holländer. 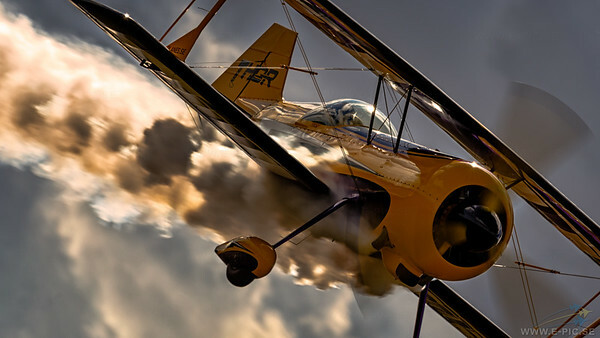 The hardware and the fantastic craftman work was done by Kevin Kimball and his company Jim Kimball Enterprises, Inc.
Air show pilot Jacob Holländer puts this amazing aircraft into its natural element. In a freestyle, the air show public is invited to watch a 3D gyroscopic aerobatic show with a lot of smoke and manoeuvres like high alpha knife edge, inverted micro loops, spinning upwards, the unique hovering and much much more!